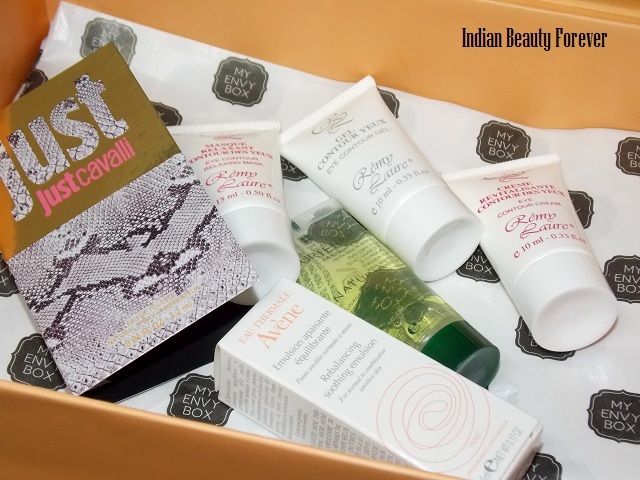 Beauty sample box service is still new in India. 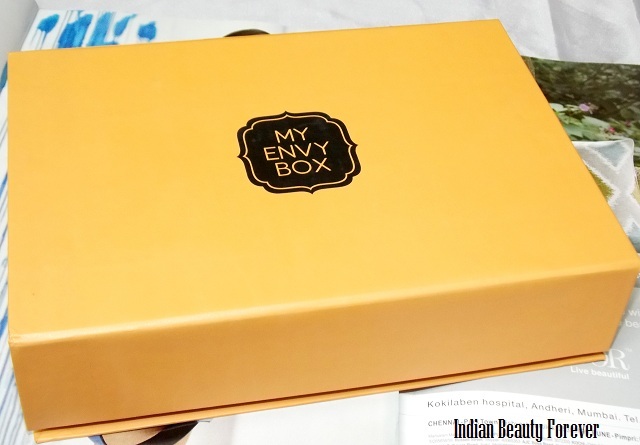 I will introduce this new beauty sample box today called My Envy Box. Sounds good!!! Isn’t it? They made their debut in the month of August this year 2013. My Envy Box is the leading discovery commerce platform. They are redefining the retail process by offering consumers a unique and personalized way to discover, learn about, and shop for the best beauty, grooming, and lifestyle products on the market. 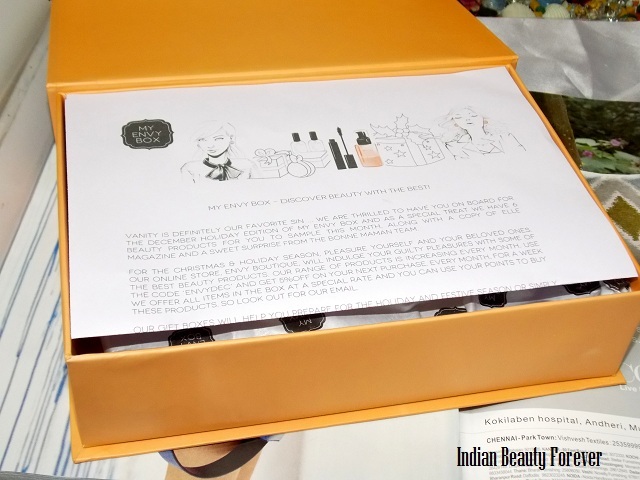 This Envy box cost rupees 850 per month for which you get 5 trial sized beauty products (typically 2ml-10ml) from the top international luxury and prestige brands. The box will be delivered to your door step every month with no extra cost. Lucky 50 people can get a copy of the latest edition of the Elle magazine. Apart from that you get, 213 rupees worth (25%) of ENVY points to redeem in their store where you can but the luxury brand products. Content: Learn about the latest product and trends in beauty from our beauty experts at Elle magazine and our in-house beauty experts. Shop: When you are ready for more of the products you sampled, you can purchase full-size versions directly from the Boutique. They have a generous loyalty program that rewards you every time you shop, refer friends, and give feedback on your monthly samples. You can redeem Envy Points and save on all orders on the online boutique. Now, let’s come to the actual box that I got. My Envy Box comes in a parcel with the box being boxed inside a card board box, to prevent any damage while shipping. 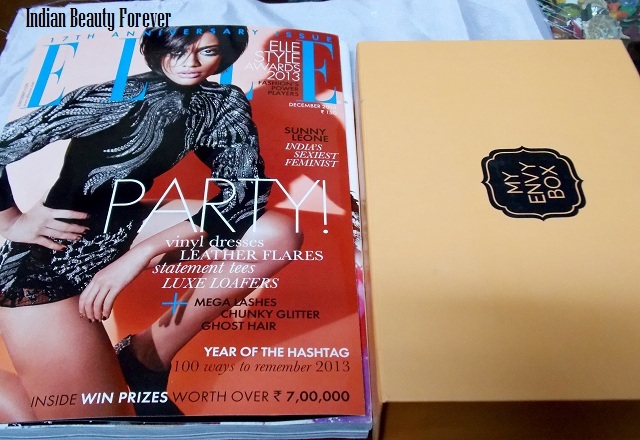 I received this December edition of the Elle Magazine as well along with my box. The box is a pale orange colored box which is made out of cardboard. It is very sturdy that you can definitely use it to store some of your products or you can even use it for gifting something in it. It has magnetic chips that keep it shut properly. Inside the box, there are cards that carry information about the samples that they have included. The price of the full sized product, how to use the product etc. 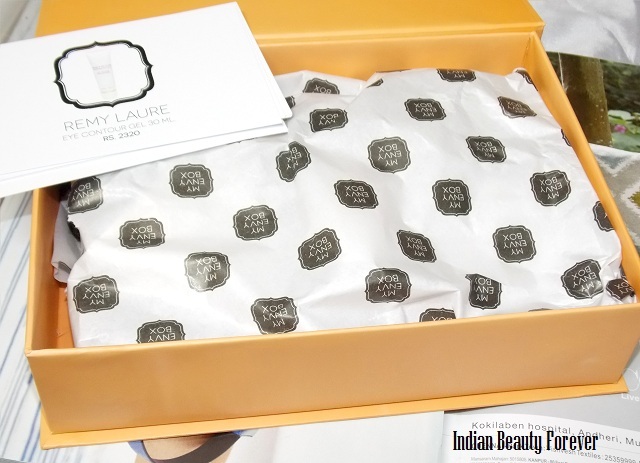 The products are wrapped inside a big sheet of paper with “My Envy Box” written all over giving it all together a luxurious feel and the box. Right now, as they have not customized the box, every box contains the same products. Full sized product price is 1200 rupees for 50 ml. The sample contains 5 ml that can be used for 2-3 times. It claims to hydrate the skin and keep it soft and radiant. I will be using it and let’s see how it fares for me. I have seen this brand on some shopping sites but it isn’t very popular though. The full sized product is for 2355 INR for a 30 ml tube. Sample tube has 10 ml which is good to use for around more than 10 times as when it comes to eye creams, a little goes a long way! It is a gel textured cream that is said to decongest blood circulation that causes dark circles and puffiness. Full size is for 2320 rupees for 30 ml. Sample size has got 10 ml and can be used for about 15 uses. It helps reducing puffiness and dark circles. Full size product is for rupees 2065 for 30 ml. sample size is for 10 ml. It’s an eye mask that should be kept for 3 minutes on the eyelids and then rinse off. It helps sooth and relaxes the eye area. I will be definitely using it! Full size product is for 1100 rupees for 150 ml. I have not heard about this brand. It is quite new to me. 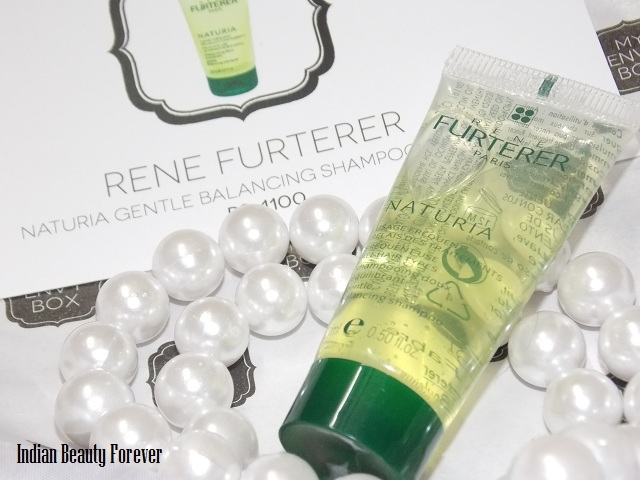 The sample contains 15 ml that could be used for 2 washes for me as per my hair length. 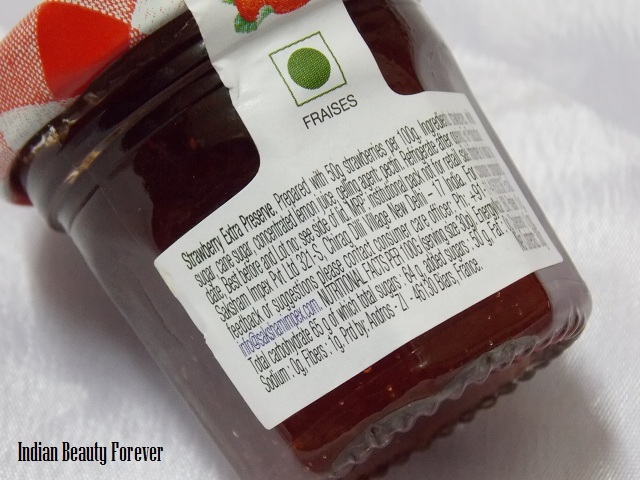 It is said to give glossy sheen to the hair with volume. Full sized fragrance is for 50 ml for 3575 and 75 ml for 4875 rupees. Sample contains a tiny spray bottle with 1.2 ml of the fragrance. It’s basically a floral fragrance with lot of warmth in it. I have used exactly the same fragrance ages ago; so, don’t remember the name but it was so similar, that I was literally teleported to that time. I used it once and wish the staying power could have been better. Fragrance is a personal affair and may not work for everyone. This was a surprise as I really liked the cute bottle and also wasn’t expecting such a thing in a beauty box. But never mind, it tastes damn delicious, that’s what I am more focused at! First of all, the orange box is a treat as is very sturdy and can serve many purpose for you! It does give this feel of having a luxury beauty sample box. Price of the box is a bit high, if the magazine is not there specially. Coming to the products, out of the six products, 4 products are from brands that I am not very familiar with, though I will not deny that it’s always good to open up for new brands and explore them. 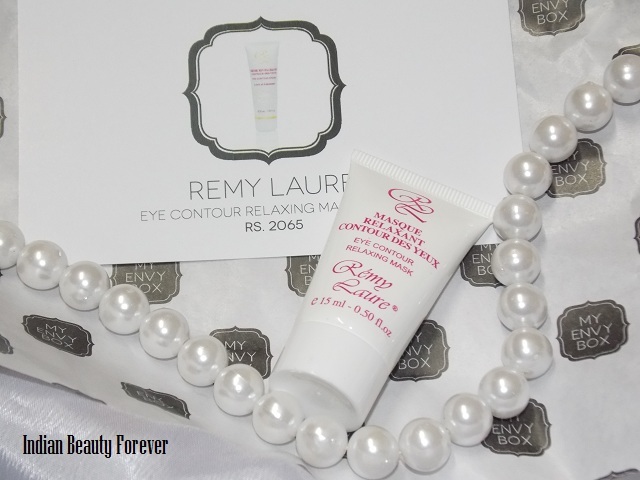 I got three eye related products which I wish could have been two like an eye gel and an eye mask or the cream or the mask and I could have got something else instead of any one of the Remy Laure eye cream or gel. I liked the Perfume from Roberto Cavalla as it suits my taste, but it may not appeal to everyone! Or I should say, it’s hard to choose a fragrance for somebody else when you are not aware about their liking. Right now, there is no customization of the products that will be there in the box as they have started out, but I wish that it will be good if the subscribers are given a chance to choose their samples for themselves. Let’s say, 3 sample products are chosen by the subscribers as per their liking and 3 by the My Envy Box team so that the surprise factor also remains. Moreover, if you are not happy with the samples, at least you have the samples chosen by you to make you feel satisfied with the box. What say? 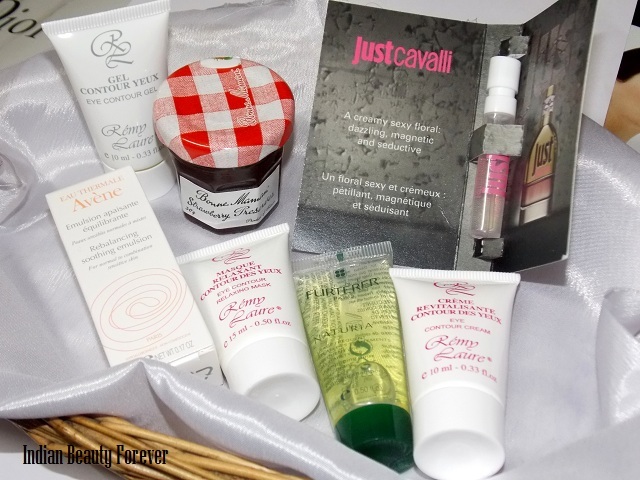 If you wish to subscribe my envy box then you may do that here to request an invite. PR sample provided for consideration, though the review is honest as always!! Those tubes of eye cream,gel and mask definitely sounds good and interesting! I am looking forward to try the eye gel. This is one hell of a awesome box I've ever seen, totally love it. you got more of eye products.... they should have sent something else too!! 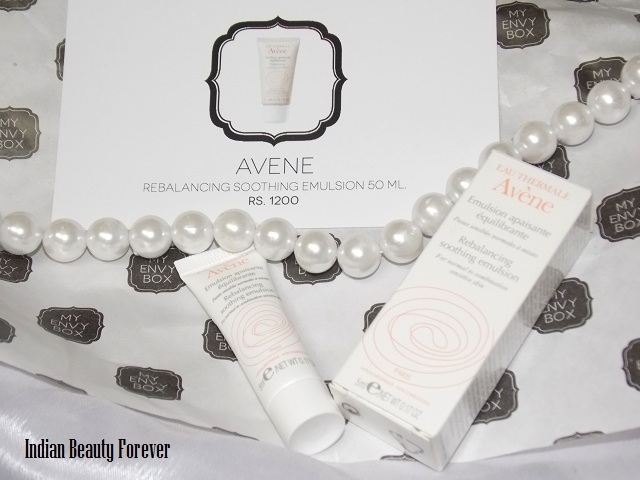 how's avene, do the review asap ..
jam in beauty box looks strange...somehow the box didn't tempted me! I can understand, its may be due to the four products from not so popular brand. :D I thought it may be some lip scrub. Nice box but it would be nice if they have customization. It would be better that way na! haha.. they are taking care of the taste buds too! wow Nice bunch of products. Really like the orange box. I too loved the box! :D I think the same as that way the products will be as per the skin type and problems. Very good size samples. Looks like a great box. I can understand saniya! I wish they include samples from popular brands. This is an amazing box. Great samples. The box is amazing. Great samples. Box is nice, I wish they could have included some other products than 3 eye related ones. Omg! A jam in a beauty box lol hilarious! But nevertheless i really liked the other samples! The box seems quite promising. Gorgeous pics darling!